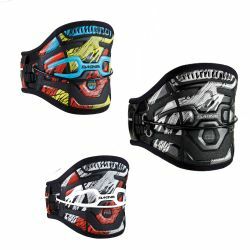 Gifts for the beginner kiteboarder, everything from beginner friendly kites, trainers to the dafety gear to keep them safe. 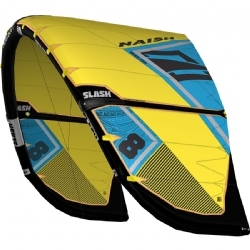 The Naish Boxer blends efficiency and innovation for a riding experience that is both versatile and forgiving. 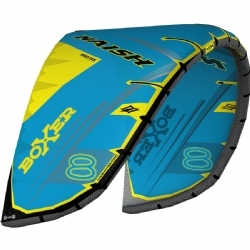 Featuring a single luff strut, the boxers has the best characteristics of strutless and strutted kite designs. The 2018 Shox is the ultimate upwind machine and the most comfortable freeride board in our range for intermediate to advanced riders. 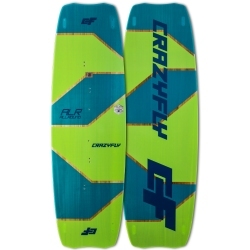 The Shox takes advantage of Multi Channel bottom shape and Concave Tips which provide unmatched upwind performance and increase the overall all-round abilities of the board. Step Cap deck technology allows for thinner rails and sharper edging. The construction layup combines Recycled fiberglass and X carbon on the deck for a dynamic feel and optimized pop. 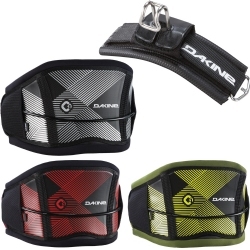 The 2017 Dakine C-1 waist harness: redefining fit and performance. The C-1 combines adaptive fit technology with Texon counter/stiffener for support and comfort like you've never experienced before. The 2017 Dakine Fusion is designed for the needs of todays kiteboarders. Maximum lower body support with the ability to raise or lower the hook depending on the riders preference. 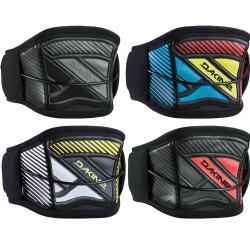 The 2016 Dakine Pyro uses a unique multiple panel outer shell that allows shaping seams and variations in material to create the best fitting waist harness ever! 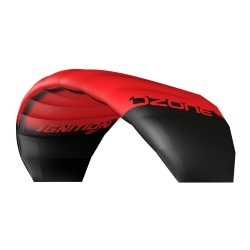 The inner is specifically designed to give lumbar support and comfort with or without a wetsuit. The Power Clip buckle and separate hold down webbing keep the bar down and in place. Equipped with the fixed hook Hammerhead spreader bar. 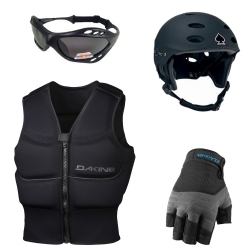 The 2016 Dakine Hybrid Renegade is a revolutionary harness design. The P.E.B. inner support structure has 3 shaping panels giving it a pre-curved shape formed to the shape of your back. Two side pocket give you ample storage for a knife, keys or other safety supplies. 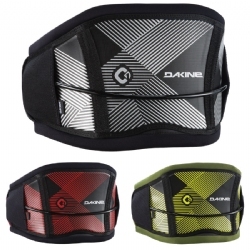 The 2018/2019 Dakine Fusion is designed for the needs of todays kiteboarders. Maximum lower body support with the ability to raise or lower the hook depending on the riders preference. 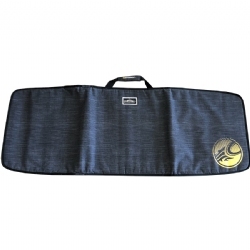 Cabrinha Single Board Bag - 33% Off! 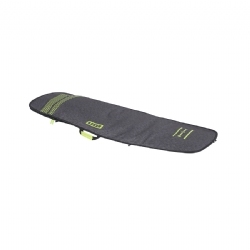 ION Core Stubby Surf Board Travel Bag - 40% Off! 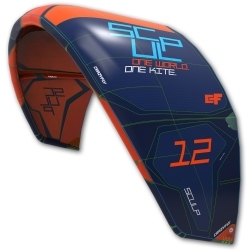 The Sensei trainer kite is the first ever two line relaunchable trainer kite. 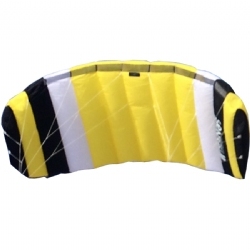 Just pull on one line and the Sensei trainer kite pops off the ground and easily relaunches. The most stable & smooth trainer kite out there. 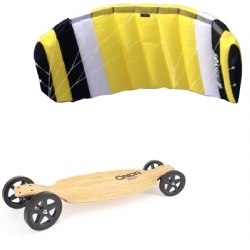 The Rookie is the first ever two line relaunchable trainer kite. Just pull on one line and the Rookie pops off the ground and easily relaunches. The most stable & smooth trainer out there. 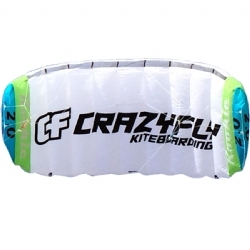 The Ozone Ignition Trainer Kite is the best 3-line kite to get started learning kiteboarding. 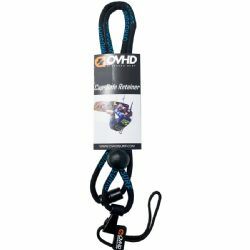 The 3rd line with wrist leash provides safety flagout and easy lauching and relaunch. The Ignition is great for the park, beach, or kite-skate. 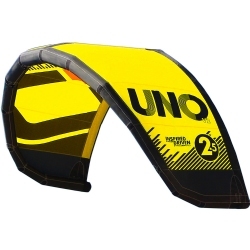 The Ozone Uno is an easy to use, inflatable trainer that is great for learning kiteboarding. The Uno can be used with almost any four-line bar and allows the student to learn about sheeting the bar in and out in addition to turning the kite left and right. Scoprega?s Bravo 20-2 electric pump is a newly upgraded model for 2019 that features a larger dual motor for faster and more efficient inflation of inflatable paddle boards, boats, kayaks, rafts, dinghies, tubes, toys, and more?. Twin-cylinder, single-stage pump fills quickly and to higher pressure than most electric pumps on the market. An easily-selectable pressure dial indicator lets you choose the PSI and automatically shuts-off when the desired pressure is reached. The pump houses an internal, rechargeable battery that can be easily trickle-charged using the included wall charger or car cigarette lighter adapter. If the battery is drained but you still want to pump something, the pump can be run from other 12V power sources such as a car battery using the included power cable. 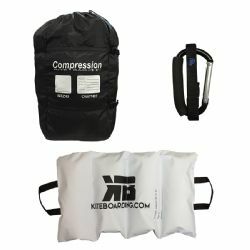 The Kiter's Essential Package has everything that any kiter would need. 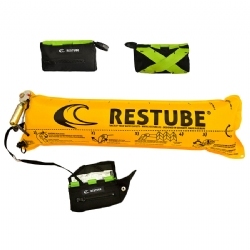 It includes a PKS Sand Anchor, Compression bag, Sand Weight bag, and a Self Launch Tool. Save 20% when purchasing this package instead of the individual items. 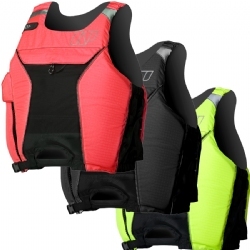 The Neil Pryde High Hook Flotation Vest is made specifically with kiteboarding and windsurfing in mind. 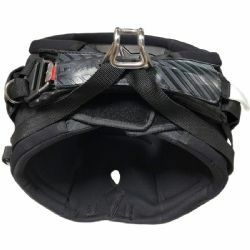 The webbing is designed to fit beneath your spreader bar to keep the vest from riding up and into your face, a simple design that works perfectly. 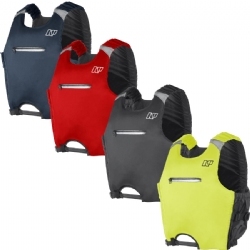 The vest is lightweight, flexible and has convenient, side-zipper entry. 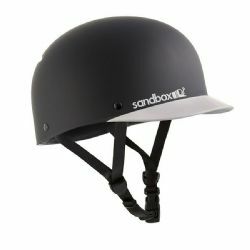 Includes a Velcro chest pocket and reflective panel. The NP High Hook was made specifically with kiteboarding and windsurfing in mind. 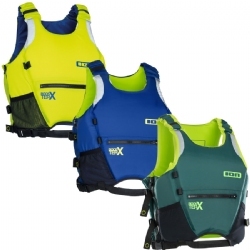 For years it has dominated the market in flotation vests. All new for the 2018 season, NP brings us the new NP High Hook Lite, with all the features you love about the original High Hook, but without the hydration pack attachments and a smaller front pocket with nylon zipper and a lighter weight nylon fabric. Keep your hat on your hat even in the windest conditions with a Hat Leash! New from Overhead Surf is the Cap-Safe Retainer lanyard. 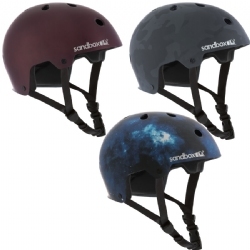 Simply attached to your hat or cap and ensures that if it does get blown off your head, it stays with you. Now that you have become comfortable with the trainer kite, it is time to begin your kiteboard lessons with an instructor. This is the basic 3-hour Beginner Lesson, which is a One-on-One Lesson with a certified instructor. ALL GEAR is provided for this lesson with the exception of water shoes or wetsuits (if winter).